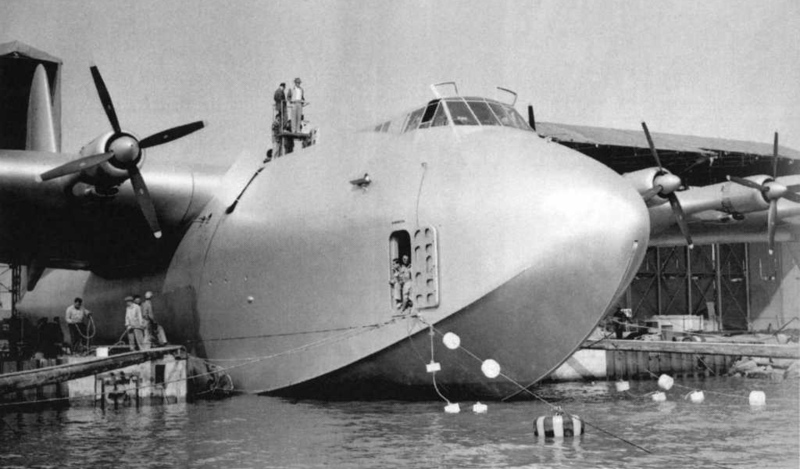 53 years ago, Howard Hughes the dork american billionaire made the first, and at the same time the last flight of his giant flying boat, the Hercules. 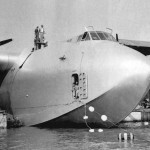 There was a need during the Second World War for a plane, which could have carried massive amounts of cargo or troops through the seas, without the threat of the german U-Boats. The project started in 1942, later Hughes joined that. The first prototype was made of birch, which was light enough to be used in such a huge construction, and by using this, important materials, like aluminium were conserved. But the first prototype hadn’t been finished by the end of the Second World War. 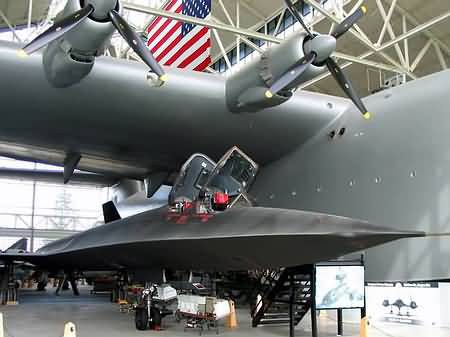 Originally the government ordered three aircraft, but later they limited the contract, and only one plane were built. The dimensions of the Hughes H-4 were unbelievable compared to the other aircrafts of the era, but it was needed to carry the designed load of a Sherman tank or 750 fully equipped troops. 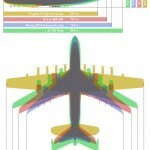 Just a few examples from the specifications: the length was almost 70 m, and the wingspan nearly 100 m. You can find more accurate data on the specifications of this plane it’s wikipedia page. 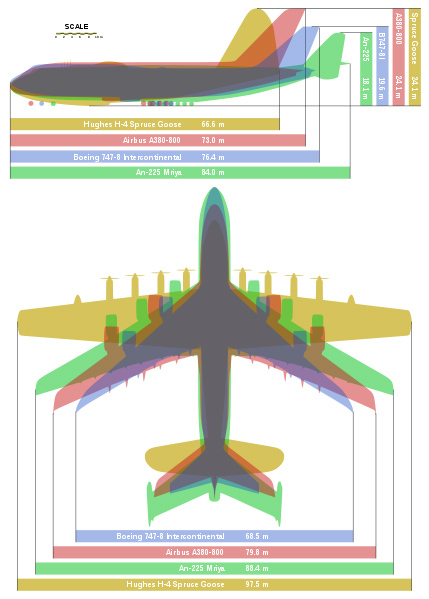 The following picture is from the wikipedia too, it’s an interesting comparison with present-day giants, like the Antonov AN-225 or the Boeing B-747-8. 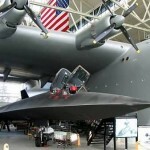 No wonder that – despite the eight engines – a lot of people doubted in the plane’s flying abilities. That’s why Hughes – who was also famous for his eccentric behaviour – organised a public high speed taxi run. He sat at the controls, and at the third run, the plane lifted off, and flew almost 2 kilometers. He tried to justify his investment, but he never flew again with the Hercules. 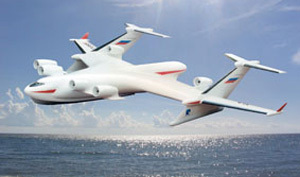 The idea of a huge cargo hydroplane was passed by the improvement of land-based aircrafts, however the Beriev Aircraft Company recently published the computer graphic image of a seaplane, the Be-2500. 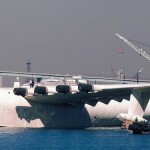 It’s a project for creating a super-heavy transport seaplane, with the capacity of carrying 2500 passengers through oceans, we will write more about it soon.